Plumbing repairs generally require the services of professionally skilled plumber. However, some minor plumbing issues can be resolved by the homeowner with the right tools and supplies. Plumbing leaks and loose hoses are one of these easier to correct plumbing problems. The hardest part then becomes knowing which supplies are needed. Hose clamps come in all sizes, types, and materials. It is important to measure properly and choose the best size and shape for optimal leak guard protection. It is first important to understand what unit of measurement is being used. Hose clamps come in different sizes, and accurate measuring is needed. Adjustable hose clamps can help make up minor differences in sizing, but even the adjustable hose clamp needs to fit properly to work efficiently. Hose clamps can come in inches, millimeters, or may even be numbered with previous measurements. 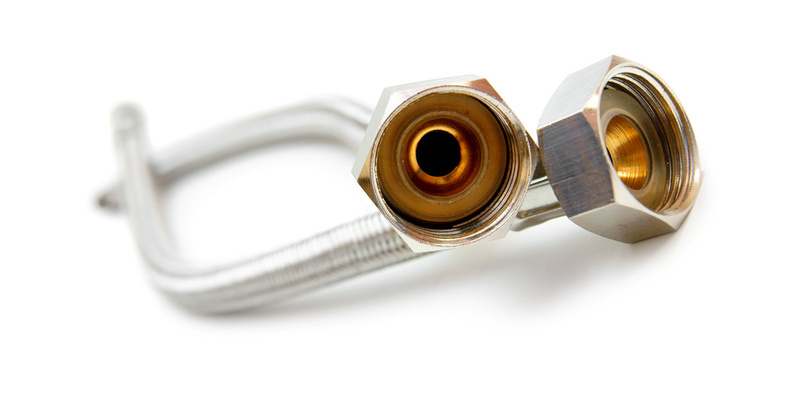 Measure the plumbing space you need a hose clamp for before choosing the best one. The specific material will also play an important role in the hose clamp?s purpose. Most hose clamps come in stainless steel because there is risk of them getting wet. However, larger hose clamp sizes may come in alternative nickel or metal materials. The strength that is needed for the clamp may affect the material that is needed. A hose clamp that must hold together a large leak for an extended period of time requires the strongest of materials, which tends to be stainless steel. In addition to the material, the hose clamp must also be free of nicks, scratches, or contamination. This ensures a good deal between a hose and a barb and may be even more important than the specific type of material that is used. Ensure that you use minimal touch on the hose clamp and examine it closely before usage for any scratches. The age of the hose clamp is not as important as the quality of it. However, many homeowners store multiple hose clamp sizes in their toolboxes for easy access during plumbing problems. If you have had a set of hose clamps stored for many months, carefully examine each one before use. You may also want to test the clamps to be sure they still work properly. Adjustable hose clamps should also be tested for use. The sizes of the hose clamps are probably the most important characteristic to pay attention to when correcting a plumbing problem. Screw clamps are normally used for hoses one half inch diameter and up. Anything that is much larger will usually use an adjustable hose clamp. If you are unsure of the exact measurement of your plumbing issue, always estimate up. Hose clamps are designed to have a little wiggle room in measuring and the clamp can easily be tightened. There are actually several types of hose clamps available. These include worm gear clamps, spring clamps, and wire clamps. You may also notice screw clamps and adjustable hose clamps in different materials. Each of the different types of hose clamps serve different purposes and have their own advantages and disadvantages. After proper measurement of your plumbing repair area and establishing the necessary hose clamp sizes, you will want to decide which type is best for your project. It is also important to remember that as beneficial as hose clamps are, they are not a permanent solution. Depending on the hose clamp sizes and materials, your correction may hold up for a long time. However, more permanent repairs should be made as soon as possible. This might include new plumbing, piping, or sealing of the plumbing pipes. The hose clamps can hold the water in during these repairs. Hose clamps are a very useful tool. It connects to different substances to prevent leaks and to hold items closed. There are many different sizes and types of hose clamps to choose from. For the most effective use, measure your hose clamp need and select the best size and type from your local home improvement store. Also remember that it is likely more permanent of repairs will eventually be needed.